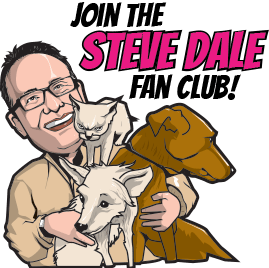 Steve Dale's Pet World. actress Hilary Swank on WLS-AM, 2 p.m.
Steve Dale's Pet World a live interview with American Humane from Haiti on WLS-AM, 6 a.m.
Isn’t table tennis (Ping Pong) an Olympics sport….now representing the U.S.A. – Here’s Kitty! Missy in Petworth, West Sussex England just had one of her knees replaced; the first cat ever with an artificial knee replacement. No word on the cost, but I’m guessing around $6,000 to $8,000 (U.S.) . Would you do that? Missy This is an example illustrating the value of pet insurance. Tattoo & Piercing Benefit Weekend! 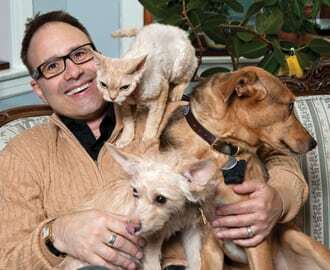 Get a tat to benefit cats for Tree House Humane Society. The event is noon to 10 p.m. Saturday (January 23) and noon to 8 p.m. Sunday (January 24), Insight Studios, 1062 N. Milwaukee Ave. Call 773-342-4444 for details.Sometimes the cats are the tats. Check these out!